Yes! Guys while we cook and wait for another unlimited data like the magic SIM, let's continue enjoying these awoof 150MB and 200MB from MTN at the moment. This particular one is gotten by using the popular online store by name Kaymu as the proxy server. Other settings remains as it is with MusicPlus except the proxy server. With this, you can get either 200mb or 150mb as the case may be. If you haven't gotten the free 150mb click MTN awuf 150mb to get yours now. Make sure you don't have any airtime (credit) on your SIM. Just like when tweaking MTN 0.00 tweak. After setting up your VPN as below, it should work until about 150mb is used but if yours didn't work like that, then dial *662*6# and select Kaymu from the options that will appear on your screen. Accept to subscribe for the data bla bla bla. You are all set. 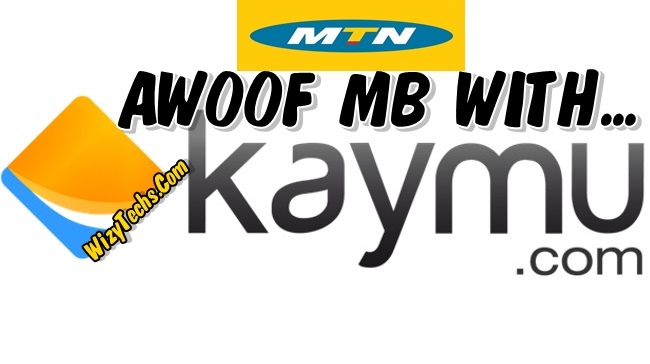 Now follow below steps to setup your VPN apps for this Awoof data from MTN. Now go back to the netify main menu and just tap on the connect button and flex your little awoof 200mb or 150mb as the case may be. How do we get the MB from Kaymu?? Guy the thing dey up naa.